The immigration officer was particularly surly. ‘What is the purpose of your trip?’ he asked. ‘Business’ I said. ‘What is your job?’. ‘Journalist’ I replied, only just managing not to reply why the hell he was asking all these questions when I was merely hopping over to France on the Eurotunnel. He spotted an Indian stamp in my passport and asked me why I had been to Goa the previous year. It was, frankly, none of his business. When you drive between France and Belgium as I did an hour later, there is barely a sign telling you that you are crossing a frontier. Yet, here I was being grilled, at 10 30pm at night, over the fact that I was driving over to Brussels. Yes, of course we want to be protected against terrorism and the police and immigration offices have a job to do. But they are continually overstepping the mark into areas of civil liberties, asking questions that have no relevance to their job at hand and behaving as if they have no limits to their powers. There was a smaller example the other day when I was cycling down the bus lane at the end of my road outside Holloway nick. The police had stopped a couple of people in cars – inevitably they were both black – and had parked in the bus lane. While that might have been necessary, they had parked in a sloppy way so that they straddled the dividing line and I shouted at them to move the car since it pushed me out into the path of the busy traffic: ‘we are just doing our job’ they said, aghast that anyone could challenge them. There were five of them, merely checking a motorist, and one of them could easily have moved the car to ensure that it did not block two lanes of traffic. A passing – black – lad in a truck gave me a grin and cheered me on. All this is the legacy of the war on terror and Tony Blair’s umpteen pieces of legislation giving the police more powers, as well as his namesake, the Metropolitan Police Commissioner, issuing ridiculous statements that the threat of terrorism is worse than the perils we faced in the second world war. It may be a minor point but really I should not have to be telling some random official why I went to Goa last year (which was actually to play bad cricket) and the cops should show more consideration for other road users. You may wonder why, as someone deeply worried about the environment, I was driving to Brussels anyway. This is because I had no alternative to fulfil two engagements, one a dinner at the House of Commons which did not end till 9pm, the other chairing a conference session in the Belgian capital at 9 30 am the next day. The first plane does not arrive till just before 9am, which I could not have risked, and in any case with the threatened BA strike that day, I would have had to seek an alternative. 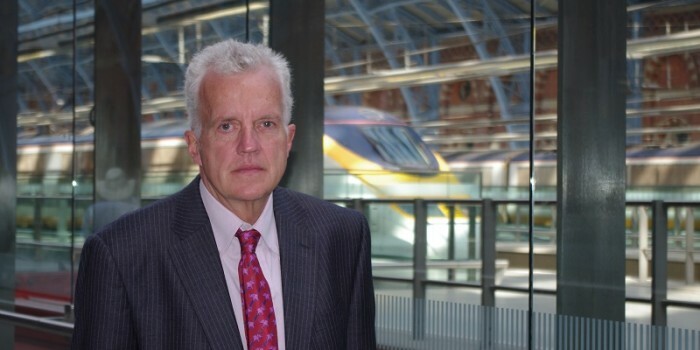 And the Eurostar train service is lousy, with the first train getting into Brussels at 9 34 and the last one leaving just after 7pm – that’s thanks to the stupid hour’s difference , which Tim Yeo MP recently tried to change yet again only to fail to get sufficient numbers interested in his bill. Why that has not been changed given it would save many lives is one of life’s mysteries – it is something about Scottish farmers, but they have to get up in the dark anyway as far as I can understand. Explanations in an email please. While in rant mode, I do think it is time Eurostar began to behave like a railway rather than an airline when the service moves to St Pancras on November 14th. The 20 minute check ins – why??? – the lack of flexibility on tickets – £22 to change a £50 prebooked ticket, why??? – and the rather lackadaisical timetable all need to be reexamined. Sure numbers using it are going up, but not as fast as they ought to and given the huge environmental advantages, there should be a policy of maximising people using it rather than revenue. The two are probably identical, anyway. So drive to Brussels I did, and it was accomplished remarkably fast, barely 6 hours door to door which goes to show the remarkable flexibility of these beasts that dominate our lives. And amazingly, the parking outside the hotel in central Brussels was free, not something that you would ever find in London. It does, too, explain the horrendous rush hour traffic jams in the city. All the big skyscrapers apparently have free parking for their staff underground and even new buildings, such as the European Commission’s massive HQ, are being built with these facilities in line with local planning rules. As the FT’s transport correspondent, with whom I happened to be breakfasting said, ‘we are rather used to saying that the Continentals always do better than us on transport and planning, but it is not always true’. That thought was with me as I sat in a huge jam on the Brussels ring road on the way home an hour later. And the immigration officer barely even checked my passport….